The strategy of the group is focused on quarantine and temporary housing: the animals rescued rarely end up in the shelter, but the goal is to find them a temporary home with families in order to make their (re)socialization easier and faster. 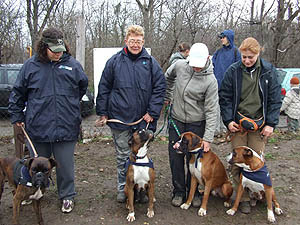 Boxers are very sensitive, and living in the shelter would be very hard for them; besides, their short hair makes them inapt for being kept outside. The Boxer Rescue Group has been specialised on the rescue of dogs found in the dogcatcher's pound, many of them already doomed to be put to sleep, but we are frequently asked for help as well by boxer owners who are unable to care for their animals. This group receives requests far beyond its capabilities, so we kindly ask everyone who would like to house a boxer through the group to be patient, as first it is necessary to find a volunteer for temporary housing. 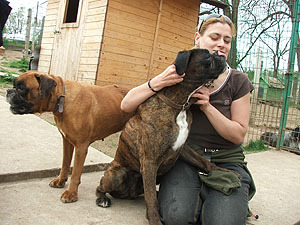 This project has a separate bank account number; donations sent to this Hungarian account are used only for boxer rescue and rehabilitation. Donations sent to the international bank account will be used by the animal shelter and not specifically by this project. 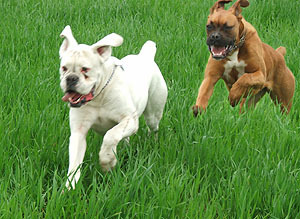 The Noah's Ark Animal Shelter Foundation Boxer Rescue Group has its own website where you find all necessary information as well as a database of animals for adoption. The group is constantly looking for volunteers, including those who could temporarily provide home for our rescued dogs. 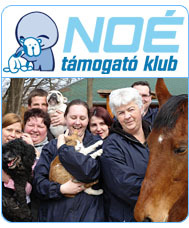 You can access our website on thewww.boxermentes.hu or the www.boxersos.hu url address (in Hungarian).